The precise positioning of organ progenitor cells constitutes an essential, yet poorly understood step during organogenesis. 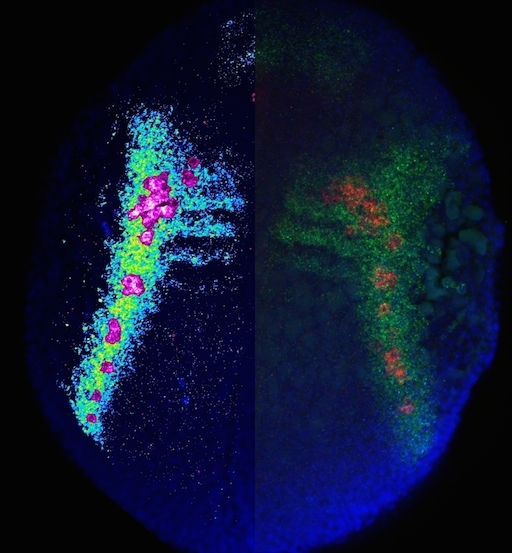 Using primordial germ cells that participate in gonad formation, we present the developmental mechanisms maintaining a motile progenitor cell population at the site where the organ develops. Employing high-resolution live-cell microscopy, we find that repulsive cues coupled with physical barriers confine the cells to the correct bilateral positions. This analysis revealed that cell polarity changes on interaction with the physical barrier and that the establishment of compact clusters involves increased cell–cell interaction time. Using particle-based simulations, we demonstrate the role of reflecting barriers, from which cells turn away on contact, and the importance of proper cell–cell adhesion level for maintaining the tight cell clusters and their correct positioning at the target region. The combination of these developmental and cellular mechanisms prevents organ fusion, controls organ positioning and is thus critical for its proper function. Using advanced light-sheet microscopy, the highly motile progenitor cells (two clusters of cells, labelled in green) can be visualized, and their interaction with the physical barrier (gut, labelled in red) characterized. Repulsive cues combined with physical barriers and cell–cell adhesion determine progenitor cell positioning during organogenesis. The control over the acquisition of cell motility is central for a variety of biological processes in development, homeostasis, and disease. An attractive in vivo model for investigating the regulation of migration initiation is that of primordial germ cells (PGCs) in zebrafish embryos. In this study we show that, following PGC specification, the cells can polarize but do not migrate before the time chemokine-encoded directional cues are established. We found that the regulator of G-protein signaling 14a protein, whose RNA is a newly identified germ plasm component, regulates the temporal relations between the appearance of the guidance molecules and the acquisition of cellular motility by regulating E-cadherin levels. Hartwig, J.; Tarbashevich, K., Seggewiß J., Stehling M.; Bandemer J., Grimaldi C., Paksa A., Groß-Thebing T., Meyen D., Raz E. (2014). Temporal control over the initiation of cell motility by a regulator of G-protein signaling. 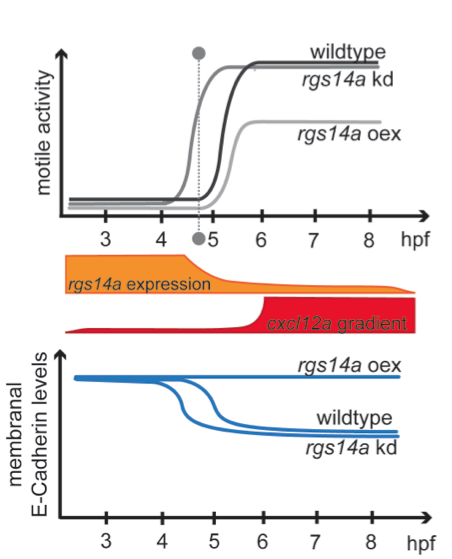 Summary of the findings: The expression of rgs14a declines (orange) over the time PGCs normally start to migrate (grey dashed line), while the gradient of the chemotactic guidance cue (Cxcl12a), directing PGC migration, is built up subsequently (red). PGC motility acquisition and migration onset can be altered by increase (oex) or depletion (kd) of Rgs14a (upper graph), which regulates membranal levels of the cell-cell adhesion protein E-Cadherin (lower graph) sufficient to dictate the timing of PGC migration onset. Whole-mount in situ hybridization (WISH) is a fundamental tool used for studying the spatio-temporal expression pattern of RNA molecules in intact embryos and tissues. Current technologies for WISH are limited in the number of different RNAs that can be simultaneously analyzed in the same experimental sample or are inappropriate for use in larger tissue samples such as whole embryos. A drawback of current methodologies designed to detect mRNAs in embryos lies in low spatial subcellular resolution and inaccurate quantitative data, as those rely on enzymatic activities and chemical reactions that generate diffusible products, which are not fixed to the detected RNA. The protocol we have developed and present here is based on the RNAscope technology that is currently employed on frozen thin sections for clinical applications (Wang et al. 2012). By using zebrafish embryos as an example, we provide a robust and rapid method allowing the simultaneous visualization of multiple transcripts, demonstrated here for three different RNA molecules. The optimized procedure allows the preservation of embryo integrity while exhibiting excellent signal to noise ratios. Employing this method thus allows the determination of the spatial expression pattern and subcellular localization of multiple RNA molecules relative to each other at unprecedented resolution, in the 3-dimensional context of the developing embryo or the tissue under investigation. Lastly, we show that this method preserves the function of fluorescent proteins that are expressed in specific cells or cellular organelles and allows protein detection using antibodies. A 12-hpf zebrafish embryo expressing cxcl12a and vasa transcripts is shown; The left side of the embryo displays cxcl12a expression pattern in pseudocolors together with PGCs in magenta, demonstrating the arrival of the PGCs at domains of high cxcl12a expression. The right side of the embryo shows cxcl12a expression domains in green, with the PGCs expressing vasa in red and nuclei stained in blue. Mehdi Goudarzi, a Ph.D. student at the Institute received the MTZ®-MPI-Award 2012 for his Ph.D. work on the mechanisms controlling germ cell migration. Since 2009, the MTZ®foundation endows a young scientist at the MPI for Molecular Biomedicine with the MTZ®-MPI-Award on a yearly basis. In this way, the founding couple Monika and Thomas Zimmermann foster young persons in their scientific career. The Institute of Cell Biology opens its doors: on Wednesday, 3rd October 2012, everybody who is interested is welcome to visit the institute. In an interactive and comprehensible tour, modern techniques of molecular and developmental biology will be shown. Tours start every hour from 10am to 3pm. 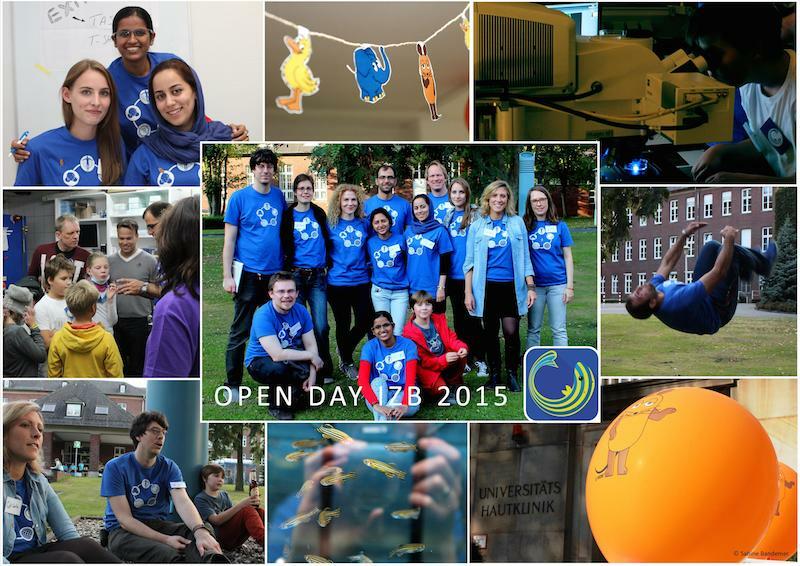 For organizational reasons, registration vie E-mail at zellbio at uni-muenster.de is required. Das Institut für Zellbiologie öffnet seine Pforten: jeder Interessierte ist eingeladen, am Mittwoch, dem 3. 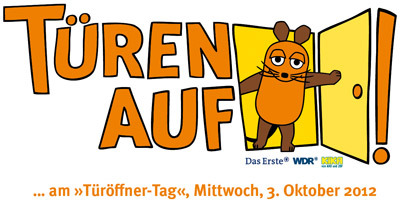 Oktober 2012, das Institute zu besichtigen. In einem interaktiven und verständlichen Rundgang werden moderne Techniken der Molekular- und Entwicklungsbiologie vorgeführt. Die Rundgänge starten von 10 bis 15 Uhr zu jeder vollen Stunde. Aus organisatorischen Gründen ist eine Voranmeldung unter zellbio at uni-muenster.de erforderlich. Chemokines are secreted molecules that function in guiding the migration of cells during embryogenesis and in the adult where they control cell movement as well. An important chemokine regulating processes such as germ-cell migration, angiogenesis, immune cell trafficking and tumor metastasis is Cxcl12. The level of Cxcl12 in the tissue is controlled by the decoy receptor Cxcr7 that binds the chemokine, directs it to degradation and recycles back to the cell surface to repeat the cycle. β-arrestin control of late endosomal sorting facilitates decoy receptor function and chemokine gradient formation. To move or not to move - Cell migration is a key process in organism development, homeostasis and disease. We sought to determine the minimal set of factors transforming cells from stationary, immotile behavior into a migratory motile one. 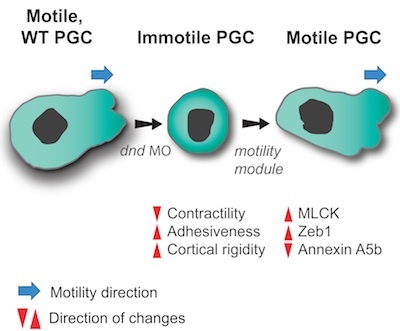 Using zebrafish Primordial Germ Cells (PGCs), as a platform for identifying cellular processes promoting motility, we defined properly controlled myosin-based contractility, cell-cell adhesion and cortex-membrane association as factors sufficient for directing PGCs into migration. The regulation of these parameters is achieved by a balance between the inhibitory action of miRNAs on genes controlling these cellular features and the activity of the RNA-binding protein Dead end that counteracts the miRNAs. Quantitative differences in the level of these three properties may result in different cellular behaviors in different tissue and cellular contexts. Identification and regulation of a molecular module for bleb-based cell motility. 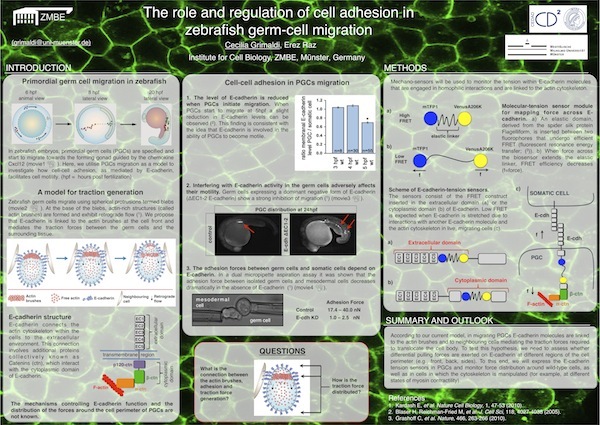 Cecilia Grimaldi from the institute of Cell Biology won first prize for her poster titled " The role and regulation of cell adhesion in zebrafish germ-cell migration". The competition was held at the recent CEDAD retreat that took place on 15 - 17 June in Kyllburg. Click the poster preview for the full PDF version. In relation to the close and productive scientific cooperation, the senate of the Max-Planck-Society appointed Prof. Dr. Erez Raz as an External Scientific Member of the Max-Planck-Institute for Molecular Biomedicine in Münster. With the acceptance of his nomination, Erez Raz will be Scientific Member of the Max-Planck-Society. In 2007 Erez Raz became the director of the Institute of Cell Biology at the Center for Molecular Biology of Inflammation (ZMBE) at the Medical Faculty of the WWU. 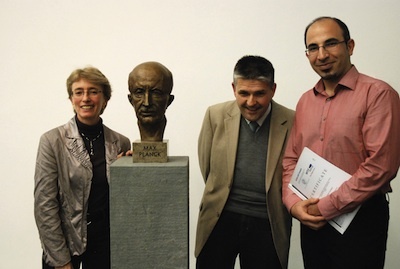 External Scientific Members are internationally successful top scientists, nominated following a thorough external evaluation upon request of a Max-Planck Institute. Currently, in the field of life sciences, 37 External Scientific Members were nominated. Prof. Dr. Ralf H. Adams, The Managing Director of the Max-Planck-Institute for Biomedicine: "Erez Raz is the first and only nominated Member of our Institute. Our intention is to bring Erez Raz closer to our Institute and link him further to the scientific environment in Münster." Prof. Erez Raz from the Institute for Cell Biology was elected as a member of the European Molecular Biology Organization (EMBO). 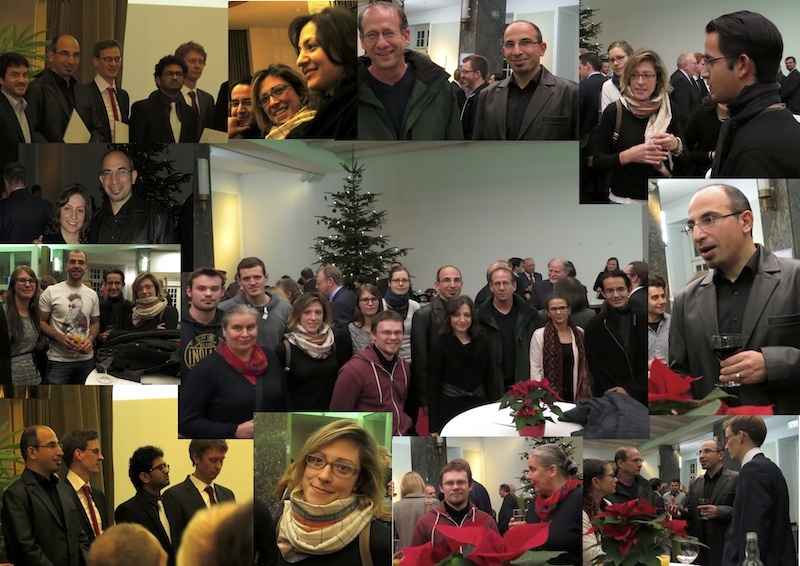 EMBO members are elected on the basis of their excellence in research and currently, approximately 1400 leading molecular life scientists in Europe were awarded with this title. 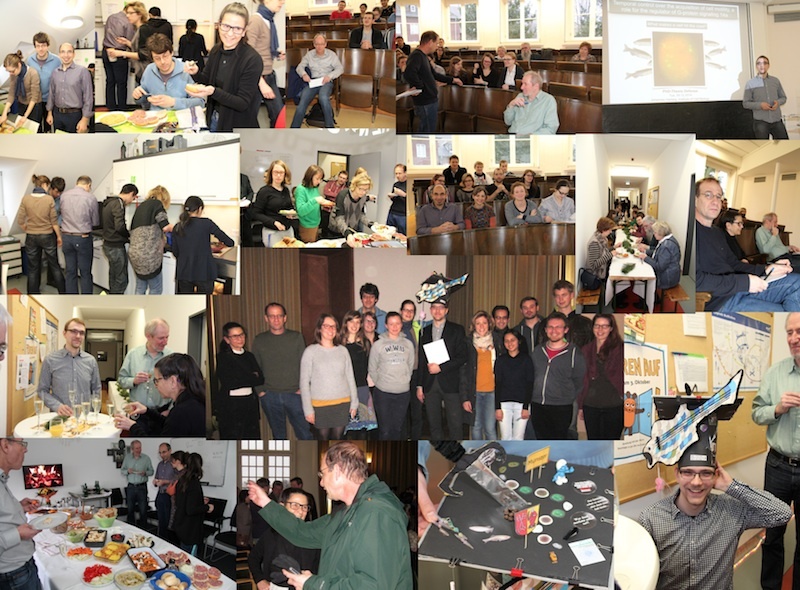 EMBO members help shaping the future direction of the organization including investigation programs, grant applications, courses, workshops and meetings. Prof. Erez Raz from the Institute for Cell Biology was awarded Human Frontiers Science Program (HFSP) Research Grant as part of an international team including Prof. Pierre Sens (Dept. of Biological Physics, CNRS, Paris, France), Prof. Helim ARANDA-ESPINOZA (Dept. of Bioengineering, University of Maryland, USA) and Prof. Michael Sixt (Dept. of Cell Biology and Immunology, Institute of Science and Technology, Austria). Research grants are awarded to teams of scientists from different countries that combine their expertise in innovative approaches to questions that could not be answered by individual laboratories. 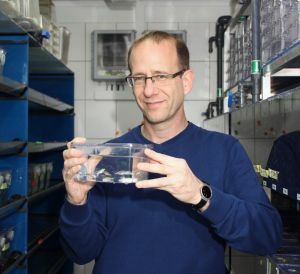 The funded project “Cell migration in complex environments: from in vivo experiments to theoretical models “ is aimed at understanding the migration of zebrafish and mouse cells in complex environments. The study involves establishment of novel methods for measurements of forces and visualizing dynamic changes in the organization of relevant molecules and structures within the cell. The results will shed light on the mechanisms facilitating migration of cells in normal life (e.g. in wound healing, fighting infections) and in disease conditions (e.g. tumor metastasis). A paper from the Raz group describing the mechanisms of protrusion-formation in migrating germ cells was chosen as a "PaperPick" in Developmental Cell. Click here to open the corresponding webpage. Click below (bottom left in the movie window) to play the movie summarizing the results presented in this paper. Prof. Erez Raz from the Institute for Cell Biology was awarded an ERC Advanced Investigator Grant. In this scheme, about 2 million euros were awarded for studying the molecular and cellular mechanisms facilitating single cell migration in the context of the live organism. For more details (in German) click here.